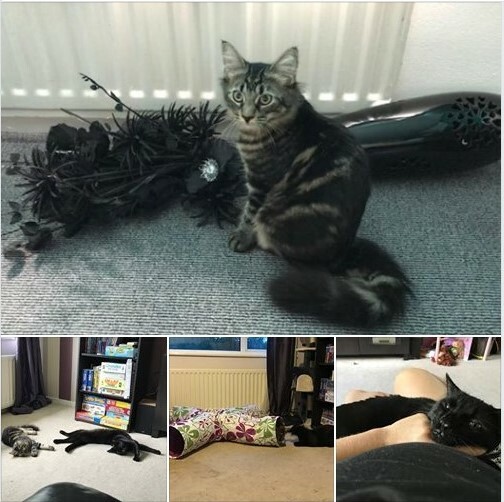 In care in July 2018 and in their lovely new home in August 2018 we've received a great update on Eddy and Jack, adopted by Jo and Matt. Eddy and Jack have settled in fine, quicker than any cats I’ve ever had! They are very very playful with each other, especially at 4am! They certainly look happy and settled, and it looks like Jack is already up to mischief! We look forward to hearing of their future adventures.